“Bob Braddock briefed the Senate Select Committee on Energy & Environment on the status of the project, laying out for them the impacts it is expected to have on natural gas production in Colorado and elsewhere in the northwest part of the nation. He also updated them on the status of the $9.8 billion project, which still needs approval from the Federal Energy Regulatory Commission, a three-member panel that once rejected the idea during President Barack Obama’s administration. Under President Donald Trump, however, that panel now has new members and is poised to approve it, Braddock said. Braddock said his employer, Pembina, already has two Japanese companies that have entered into 20-year contracts to purchase 50 percent of the natural gas it expects to transport. One of those companies, JERA, is the exclusive fuel procurement company for Japan’s largest electric utilities and the largest liquefied natural gas buyer in the world. Braddock also said his employer, which would operate the only natural gas facility on the West Coast, also expects to contract for much of the rest of the facility’s capacity by the fall. Braddock said Colorado’s role in the facility when it gets going is to supply about 25 percent of all the liquefied natural gas it expects to export on a daily basis for at least the next 20 years, most of which would come from wells in the Piceance Basin. That means the Western Slope would see a much more stable market for its natural gas, he said. Several county commissioners from around the state also told the committee why they, along with Gov. John Hickenlooper and the state’s congressional delegation, are pushing the Jordan Cove project, including Mesa County Commissioner Rose Pugliese. GJEP has long been a supporter of the Jordan Cove LNG pipeline project and has traveled with, among others, Comm. Pugliese to Washington D.C. to advocate for its completion with FERC. GJEP also helped facilitate a white paper on the potential economic impact of such a project for the Piceance Basin, alongside CMU’ Unconventional Energy Center. Read the white paper here. 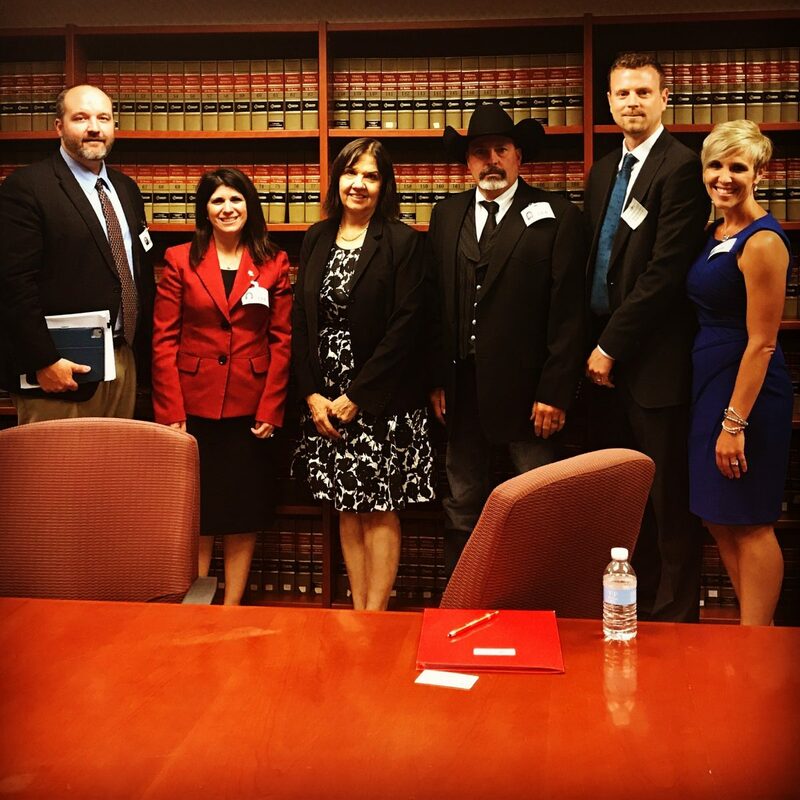 Photo credit: A Western Colorado delegation, including then-GJEP executive director Kristi Pollard, met with FERC Chairman LeFleur in D.C. last summer.